Over the past 25 years, Jason Calacanis has made a fortune investing in creators, spotting and helping build and fund a number of successful technology start-ups - investments that have earned him tens of millions of dollars. Now, in this enlightening guide that is sure to become the bible for 21st century investors, Calacanis takes potential angels step by step through his proven method of creating massive wealth: start-ups. This audio book is worth millions!! Future Shock is about the present. Future Shock is about what is happening today to people and groups who are overwhelmed by change. Change affects our products, communities, organizations - even our patterns of friendship and love. Future Shock vividly describes the emerging global civilization: tomorrow's family life, the rise of new businesses, subcultures, lifestyles, and human relationships - all of them temporary. It illuminates the world of tomorrow by exploding countless cliches about today. The cofounder of America Online and the presidential ambassador for global entrepreneurship shares a road map to success for future innovators. Steve Case was on the leading edge of the Internet revolution when he cofounded AOL in 1991. He was an entrepreneur in a business that hadn't even been invented, yet he saw how significantly his efforts could change not only America but the world. 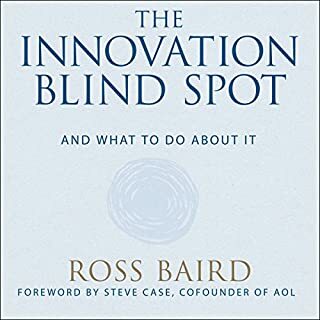 In The Third Wave, Case uses his insights garnered from nearly four decades of working as an innovator, investor, and businessperson to chart a path for future visionaries. 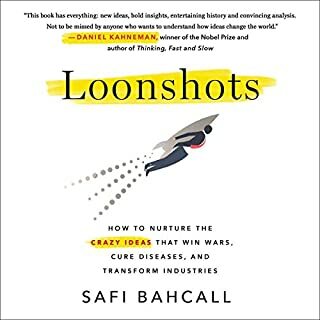 From his position as an investor in start-ups like Zipcar and LivingSocial, Case predicts the future of the economy and describes what he calls the "Third Wave of the Internet". AOL and other companies introduced early consumers to the Internet in the first wave; search giants such as Google and companies such as Apple have led us into the second wave, the app economy; and the third wave will be "the Internet of things", in which every experience, product, and service will be transacted online. Using his own experience and examples from companies he's invested in, he lays out a vision for the future of success in a disrupted age. ©2016 Steve Case. All rights reserved. (P)2016 Simon & Schuster, Inc. All rights reserved. About the Internet of Things, and Then Again Not. 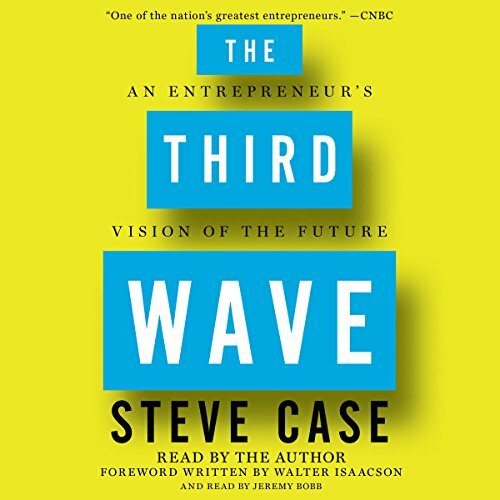 The Third Wave: An Entrepreneur's Vision of the Future, By Steve Case. The study begins with Steve Case’s history on his way to creating and being the originating force behind America Online. It tells the story of his setbacks and how unintended consequences allowed him to create AOL. The book professes to be about the internet of things, or as Steve Chase asserts, the internet of everything. The book though is not centered on the internet of things, but rather is a business autobiography of Steve Case. The biography stands in as a preface to explaining why the future of online business lies with an understating of the internet of things. Steve Case delivers the story himself. Undoubtedly, we have here the “case” of a successful billionaire armored with his ability to achieve. He believes in himself. He shouldn’t; at least as to being a professional reader. He is not. His voice is a little shrill, and not smoothly tonal. More tensile than soothing or even interesting. The story itself has many thought-provoking side stories and facts about the growth of internet and the progenitor businesses it allowed to come into being. For example, we learn how AOL grew, the AOL Time Warner merger, and the Time Warner failure. Albeit an, “I am blameless” explanation of the fiasco is laid out in this book, but perhaps that is the truth. There are also tales of Microsoft’s Paul Allan and Bill Gates and Apple’s Steve Jobs. The overall book builds in a consistent timeline but still does not feel like a cohesively tale. There is also great argument on behalf of “impact investing” or the growth of Benefit “B” corporations, and the coming into existence of the JOBS act and its facilities to allow startups to raise capital in crowd funding programs. There are other interesting discussions of the benefit of looking toward other criteria than profit. What value may be sought above and beyond bottom line dollars? Usually an undertaking for those tech people who have “made it.” There is also good thoughts on how government should function to assist job creation for startups (which Case very ably distinguishes from small businesses, something that is almost never distinguished otherwise). Nevertheless, the story of the internet of things where everything that can possibly issues data is captured and forwarded on for analysis is actually not discussed in the book. 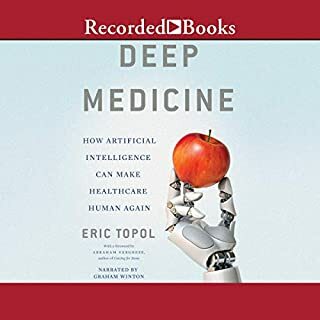 If you want to know about where the internet is going, this book will hint to your some thoughts, but certainly not provide you with information that will teach you about the internet of things. It is worth the time spent on the listen just to learn of Steve Case’s history; but it is not a primer on the internet of things. My ratings should be considered before you take the plunge. It’s not a waste of time but not very good either. More AOL History than 3rd wave. Good read though. More AOL History than 3rd wave. Good read though. Should change title as it's misleading. The third wave was a poorly written empty account of the success of A. O. L. . It is rare that I read a book which is both devoid of entertainment value as well as bereft of any lasting educational content . Walt Isaacson should be ashamed of himself for recommending it especially on CNBC. I guess loyalty is a valuable quality . I doubt Kara Swisher would do the same. Steve if you want to send me s 15 $ check I would cash it . Unfortunately you can't refund my 4 hours. 75% details of the history of a mostly defunct and now irrelevant company. should have been far more about future projections. Stories of the past can be instructive. 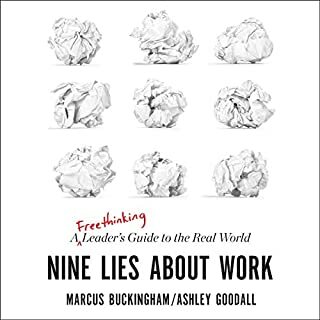 This one was mildly interesting from a business perspective, but not too insightful about its intended subject. Mostly about the rise and fall off AOL, and his opinion on keeping America competitive. Pros: insightful outlook for what industries might be disrupted by startups. Cons: A lot of I did this and I did that. I was the first to do this or that. I suggested AOL do this but no one listened to me and now AOL is dead. My abilities are god like but no one knows who I am anymore, blah, blah,blah. 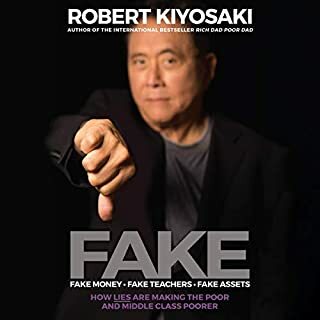 Overall a decent listen if you are interested in entrepreneurialism but be prepared to slog through the ego trip of a guy who wrote and narrated a book about how great he is. I've been wanting to read this forever. it was great hearing about the growth of AOL. but I wanted to learn more about what the 3rd wave would look like. Especially as a millineal and a child of internet technology I want to take advantage of the curve b4 it happens. I thought this book would help me see that. I was unfortunately let down. I enjoyed your futurism and particularly appreciate your attempts to democratize early-stage investment. If you are ever in Maryland stop by American Gene Technologies, I think our vision for the future of medicine aligns with your predictions. I was fascinated by this book, as I have not expected the wealth of information that I would acquire from it. Steve shared a lot more than just an entrepreneur's autobiography, his story described the most influential time in the history of technology, the birth of the internet and the world wide web as we know it; starting the inside story of AOL (America Online) with the phases of ups and downs and ending with his tips and views on The 3rd Wave, which would be the future of the internet and how our life will evolve then. 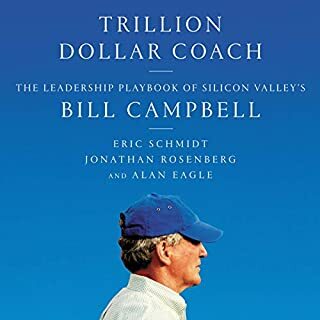 A book that combines valuable lessons for Technology Entrepreneurs and an excellent read for anyone thinking of starting or growing a business and also a great description of the American tech industry history. He is, at least, a credible source of business ideas, who "have been there and done that". He was an executive of AOL, not just a guy from self help/seminar business. And although I enjoy more of a practical format, then storytelling, this guy is, at least, a legitimate business man, that have done business, and grew his company to 200 billion dollar valuation. Overall I would recommend buying this book, especially if you enjoy storytelling style of education. Interesting perspective on business; more of a biography, but still some principles are applicable in real life. It's fair to say that I enjoyed this book, and would recommend it to others. The book is a hybrid biography and look at the future of business innovation which Case links together quite nicely. Worth reading for anyone in the tech industry as there are plenty of lessons in it.